Productivity, team spirit, and endurance are greatly enhanced if you know how to foster creativity. The traditional way of boosting a group’s endurance and thinking power is to periodically introduce short games or “energizers”. 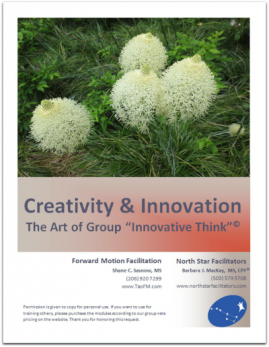 This module includes the 4 Ps of Creativity. It will answer the questions: When to Use Creative Exercises or Energizers? 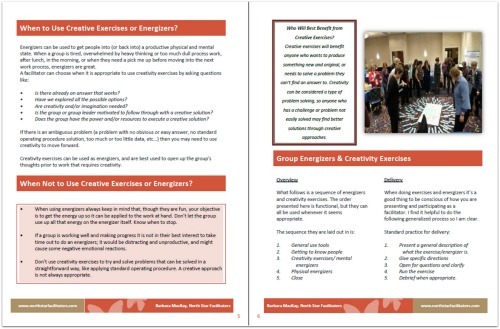 When Not to Use Creative Exercises or Energizers? Four energizers and creativity exercises are included.